The Silver Bullet Syndrome is a management or development malady first described in computer programming, although the syndrome is not confined to workers in that field. The Silver bullet syndrome occurs whenever managers or developers expect any single new tool, resource, procedure or methodology to solve all its productivity problems. This assumption is almost invariably erroneous. First, the new tools or methodologies virtually never deliver improvements as dramatic as promised. Project-wide productivity improvements of more than 25 percent from first use of a new tool or methodology are virtually unheard of. 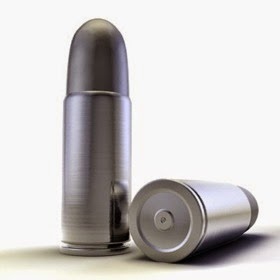 Second, belief in silver bullets leads to serialization of improvements that could be made in parallel. Because managers or developers put all their faith and optimism into a single silver bullet, they try promising new tools and methods one at a time rather two or more at a time, which slows the adoption of potentially beneficial new tools and methods other than the silver bullet. The bottom line is that organizations that succumb to silver bullet syndrome tend not to improve their productivity at all; indeed, they often go backwards. In healthcare, the creation of a more cost-effective way to deliver medications have often the potential to increase use of these medicines, which will result in cost overruns. The term is thought to be a reference to the silver bullets carried by the radio-television western hero the Lone Ranger. His appearance in town invariably led to the removal of the crooked mayor, brutal sheriff or other villain, almost always with but one shot fired.